In the heart of Barcelona, the Indian Restaurant Shanti will offer you the perfect raw essence of Indian cuisines complimented by the authentic spices. As the name suggests, Shanti Restaurant will provide you a tranquil experience while offering you the food prepared in the same way your grandmother or mother makes. 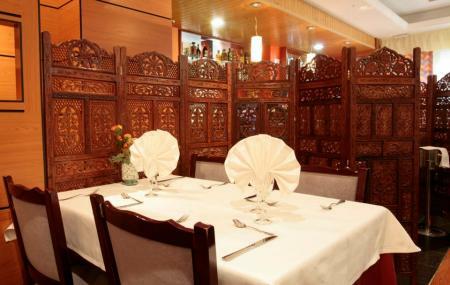 Their tasting menu includes Calamar Pakora, Nawabi Kebab, Samosa, Butter Chicken, Jhinga Masala, Veg Pulao and Kulfi. If you are impressed, then you can further try out the GGoa Salad, Sabj Tikki, Paneer Tikka, Vegetable Tikka, Tandoori Murg, Boti Lamb Tikka, Dal Tarka, Palak Gosht, and Shanti Biriyani. Delicious food, excellent service. Definitely recommend if you like good authentic Indian food. Food was delicious with sufficient quantity... Definitely worth visiting if you are near by. Authentic Indian food. In my opinion the best Indian restaurant in Barcelona. Great variety of choices and also good full menu option. Very friendly staff and the best professionals in the kitchen you can imagine. Located close to the L'illa shopping mall. I will surely repeat! Yummy and friendly! You can ask for more spiciness if you like.